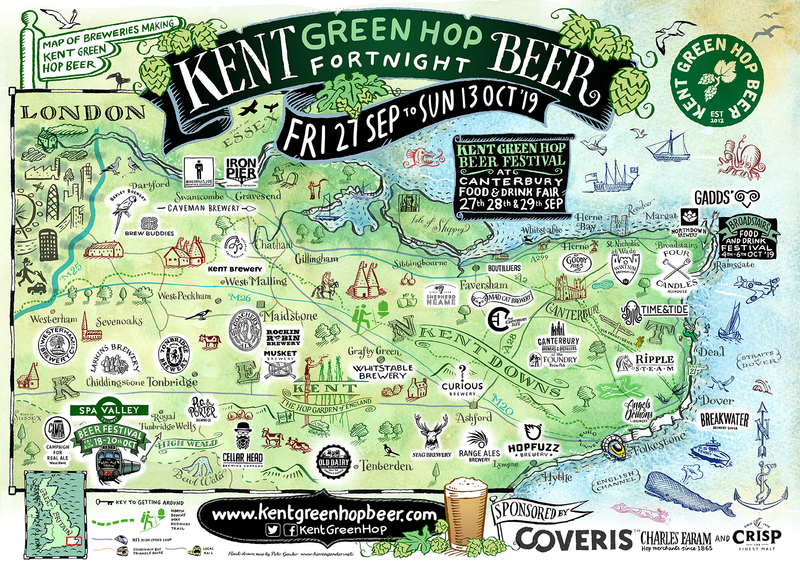 Keep an eye out on Twitter for #KGHB and @kentgreenhop for updates from breweries and pubs. This page will list more specific detail about green hop themed events. As we hear about them, you’ll hear about them. The Broadstairs Food Festival is a much loved celebration of delicious regional food and drink, chef demonstrations and workshops – fun for all the family. The main festival takes place in their Victorian Engine Shed at Tunbridge Wells West where you can enjoy a pint or two throughout the day in between train rides if you wish. They’re opening a 50 minute interval train service and with the festival continuing on the trains as well as at Groombridge and Eridge Stations too, the whole railway comes life with some wonderful local brews!